Health authorities now recommend that suppliers of drinking water regularly test their water for unwanted micro-organisms. Tests usually involve the collection of water samples and delivery to a laboratory by courier. This is both expensive and needs to be booked well in advance. We offer a simple DIY solution that offers big cost savings and gives you the flexibility to take water samples wherever and whenever required. Our test kits contain everything you need to take a sample yourself. You can then post the sample by overnight delivery (RMSD or similar) and receive the results via e-mail as soon as they are available. 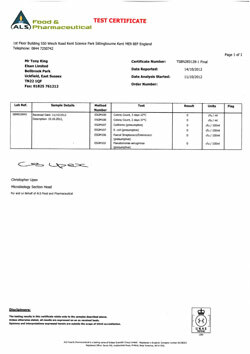 The standard industry tests are all available and testing is conducted in our UKAS accredited laboratory. Elsan water testing kits offer a service that will be convenient for you, provide the results you need and save you money. The six tests are standard industry tests, selected for drinking water to help indicate potential sources of contamination. Colony count 3 days at 22C/Colony count 2 days at 37C Test for general, harmless micro-organisms found in the environment. Colony counts do not indicate an immediate health risk but assess the quality of the water. Industry standard is for there to be “no significant increase” over past results. The following tests are indicators for a source for contamination in the water and are also a potential health risk. Coliforms Contamination from faeces, ground soil or vegetation. E Coli Contamination from faeces. Faecal Streptococci Contamination from faeces. Pseudomonas aeruginosa Contamination from ground soil or vegetation. 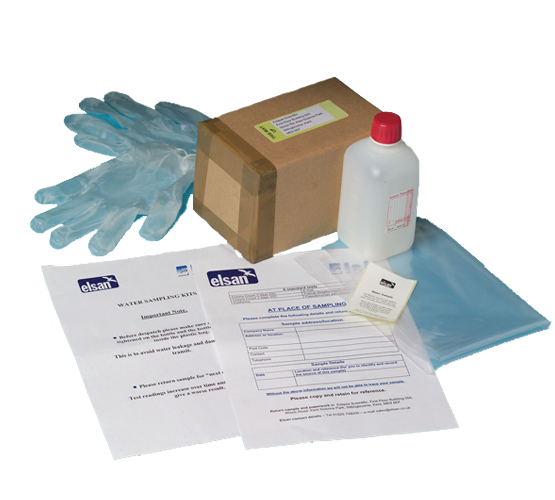 Kits contain sterile sample bottle, gloves, leak protection, address label, test record form and outer carton to return the water sample direct to the laboratory. Invoice price for each kit includes all six tests and the results certificate.